The rumors surrounding the Droid X2's hardware have been kind of sporadic, but it looks like we are starting to get a more definite look at what will be packed under the hood of this device. 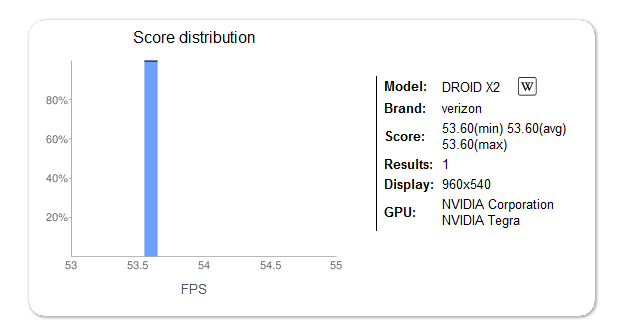 Some benchmarks that have appeared over at Nenamark are basically confirming the presence of a Tegra 2 dual-core processor and a qHD display, the latter via the device's reported resolution of 960x540. This new information suggests the device is most likely a finished product and that release is upon us, making a launch sometime in May seem even more plausible.